Welcome to Pet Advisor. Our aim is to create something better, cleaner and simpler for all your pet requirements. PetAdvisor currently cover Vets, Pet Shops, Boarding & Grooming but just ask if we can create a new area for your free listing. We encourage you to rate and review your experiences in the hope others can benefit from yours. We’d love to know what you think and we welcome any feedback, just use our Contact Us page. Take a look and search our listings for services on your doorstep. And if you can’t find what you’re looking for then please just ask, we really value your comments. As pet owners and pet lovers ourselves, we often struggled to find what we were looking for. When we found a local business or service, we had no idea if they were reputable, or whether we should entrust our pet to the unknown. So we decided to create Pet Advisor to help everyone make sound informed decisions. Pets really are part of the family and as such we want the very best for them. Our mission statement is simple; “To offer the very best in online pet directories and reviews”. We encourage you to rate and review your experiences in the hope others can benefit from yours. 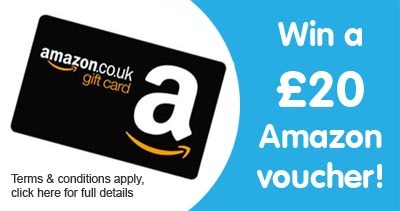 Leave a review and you could win £20! Your pet can’t talk, so speak for them. We’re now running a fantastic monthly promotion on PetAdvisor.co.uk. Every month we’re holding a raffle for £20 worth of vouchers. To enter, simply write a genuine review based on your own experiences, and we’ll enter you automatically. Winners will be notified by email and we’ll post here and on our facebook page too. Terms and conditions apply, ask for details. We also give away 50p to charity for every genuine review, so you can help there too. Register NOW for a FREE basic listing or perhaps you’re looking for an enhanced listing at just £29 with £4 going direct to our supported animal charities; Animals in Distress & Dog Trust. List your services, pricing & special offers, your own photo gallery, link to your website, google map and much more! Submit your Free listing NOW! Want to be listed on ? Your own photo gallery, detailed information, opening times, offers, website link, google map and much more. Simply click the ‘ADD YOUR SERVICE’ green button.